BAGHDAD (AP) — It will take many more months to prepare Iraq's still struggling military for a long-anticipated assault on the Islamic State group's biggest stronghold in the country, the city of Mosul, U.S. andIraqi officials say — and it may not even be possible to retake it this year, despite repeated vows by Prime Minister Haider al-Abadi. The northern city of Mosul, once home to more than a million people, was the biggest prize captured by IS when it swept over much of Iraq's north and west in the summer of 2014 and declared a "caliphate" across those lands and territory it holds in Syria. While Iraqi forces have clawed back some territory in the past year,retaking Mosul is considered crucial for breaking the jihadis' back in the country. Estimates of the number of IS fighters in Mosul vary from a few thousand to "not more than 10,000," according to the coalition. The Iraqi military is still struggling to regroup. When Mosul fell to IS, more than a third of the military disintegrated as thousands of soldiers shed their uniforms and dropped their weapons to flee. In the followingmonths, tens of thousands more Iraqi troops were identified as "ghost soldiers" — nonexistent troops whose pay was pocketed by commanders. 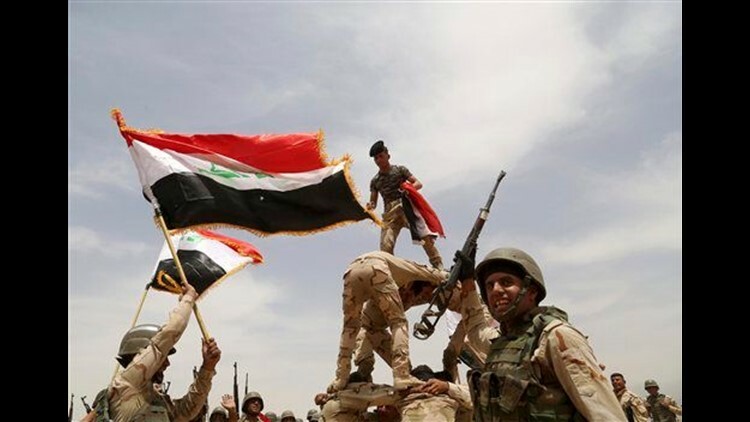 So far, 2,000 to 3,000 Iraqi troops have been deployed at Makhmour base, the likely staging ground for aMosul assault, located 40 miles (67 kilometers) southeast of the city. Shiite militiamen — some of the most effective ground forces against IS — led the fight to retake the mainly Sunni city of Tikrit and were accused of human rights violations in the process. The U.S.-led coalition has repeatedly refused to launch airstrikes in support of Shiite militia operations. In last summer's Anbar offensive, the PMF stood aside and heavy coalition airstrikes proved decisive in Iraqi military gains there.